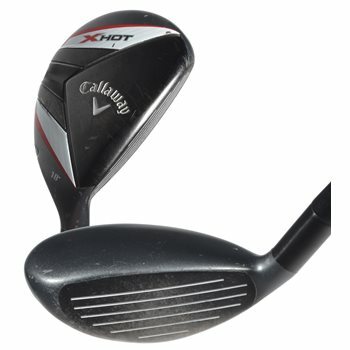 The Callaway X Hot Pro hybrid is designed with an ultra thin VFT face for incredibly fast ball speeds. The modern warbird sole makes this hybrid versatile from any lie. The club shape allows for the distance and forgiveness of a fairway wood, but the accuracy and control of an iron. These hybrids are great replacements for long irons and a great compliment to your iron set. The X Hot Pro hybrid is slightly smaller and heavier as compared to the X Hot. Review by pisit, 3 years ago.